These types of mortgage are growing as a way of buying your home/property. They were considered a niche product, they are now a very popular mortgage choice. 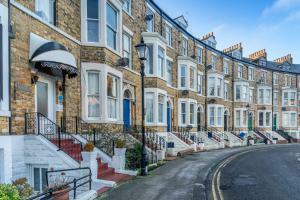 OLDHAM, GREATER MANCHESTER, UNITED KINGDOM, November 9, 2018 /EINPresswire.com/ -- These types of mortgage are growing as a preferred way of buying your home or property. Whilst they were previously considered a boutique or niche product, they have become a very popular mortgage of choice for a number of reasons. Firstly a Sharia compliant mortgage allows customers to get around the rules of interest and still be able to obtain finance to buy a home. In fact they are now offered by many high street banks and lenders as part of their lending panel. Sharia Mortgages are technically not mortgages at all. Mortgages are loans that are granted when buying a property. In exchange for this loan the higher price or lease it to you at a rate that could fluctuate. purchaser is willing to pay interest. What’s different about a Sharia or Ethical Mortgage is that the bank will buy the property for you, and sell it back to you at a higher price. In addition to not charging interest, Sharia or Compliant mortgages must also with a number of Sharia virtues such as the money used by the bank to purchase the property needs to be from activities deemed permissible by Islamic standards so banks offering Islamic mortgages must not be involved with activities such as financing companies involved with alcohol, gambling or non-halal meat. The two main types of Islamic mortgage available in Britain are Murabaha and Ijara. Both types involve lenders purchasing a property and selling it to the buyer at a slightly increased price, or renting it to the buyer over a period of time until the mortgage is paid in full. Murabaha or a deferred sale finance agreement is where a buyer is typically required to finance up to 20% of the property upfront. * You make the first payment (deposit) on the day of completion. The deposit is typically 20 per cent of the purchase price. Any repayment periods and monthly repayment amounts are agreed between the buyer and the lender and the repayments are fixed for the term of the mortgage with the maximum term being 15 years. What’s more you can repay the loan in full at any point without being penalised. The key benefit to the buyer is that the property officially belongs to the buyer from DAY ONE as the property is registered in the buyer’s name. Ijara or lease to own, has proven to be a more popular product as there is no requirement for a large initial payment and offers a slightly more flexible arrangement. * Agree to pay back the purchase price through fixed monthly instalments (usually over a period of 25 years). * There is also an agreement to pay an agreed amount of rent to the lender. The rent amount decreases annually as the mortgage itself decreases with the payments made by the purchaser. * Once the purchase price has been repaid in full, the lender transfers ownership of the property to you. Can you replace your existing mortgage with a Sharia or Compliant Mortgage? Replacing a conventional mortgage with a Sharia-compliant mortgage is a fairly straightforward process. The process is the same as if you were selling a property to another buyer except in this case the BANK is the purchaser. It purchases your property from you at its current market value and you agree to buy the property back at the same price. While the bank pays off your previous interest-based mortgage, you make equal monthly repayments to the bank. Despite Islamic finance in Britain being a fairly recent arrival more and more high street and niche banks are beginning to offer Sharia-compliant products to an ever growing demand for people attracted to the idea of a mortgage that isn’t interest-based and has ethical aspects to it. Who can apply for a Sharia law mortgage? Anyone can apply for a Sharia Compliant mortgage although you should speak to someone who has experience of Sharia mortgages and with reputable and established lenders.